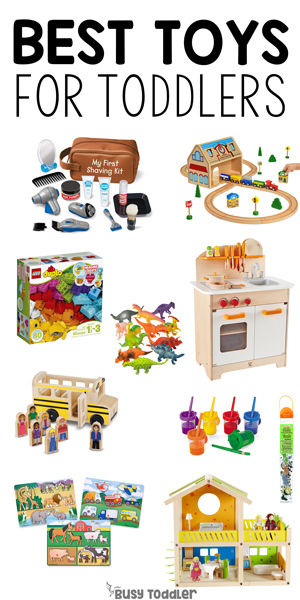 Inside: Check out the best toys for toddlers – open-ended toys for kids to grow with. 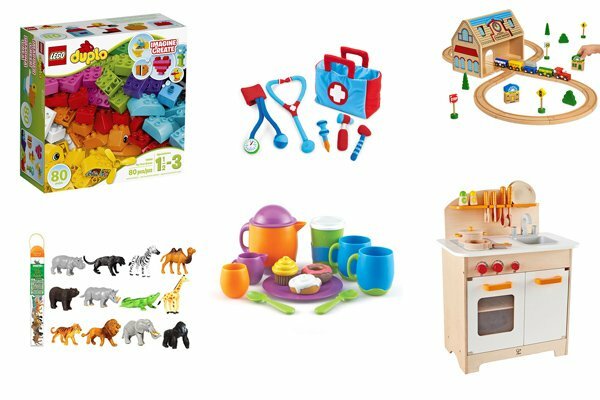 Looking for the best toys for toddlers? Here’s the list for you. Play is the work of childhood and toys are the tools for play. You don’t need to own EVERY toy on the market to have a child who will play well independently… but you do need to own the right toys to help make that happen. Kids need open-ended toys and here’s why. RELATED: Read more about my thoughts on toys in this article. Not all toys are created equal! There are two toy categories (in my opinion): “One and Done Toys” and Open-ended toys. We want to fill our homes with the latter. “One and Done Toys” usually have batteries, they might light up, or make noise. 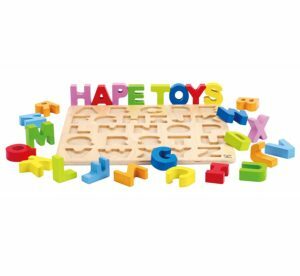 These toys entertain a child, they talk to them, sing to them, ask questions, and usually have just ONE purpose (meaning you can’t use the toy in any way other than how it was intended). Open-ended toys on the other hand… they allow the child to be the entertainer and make the play happen however they see fit. If you want a child who plays independently, open-ended toys are the toys for you. Kids need open-ended toys to imagine with, create with, and grow with. These toys help them learn to navigate the world, to act out social situations, problem solve, and explore. Open-ended toys are powerful. “One and Done Toys” won’t grow with your child – a light up toy for a 15 month old isn’t likely to be loved by a 4 year old. Do only toddlers need these toys? All kids need open-ended toys and this is a list of toys kids will start loving around toddler-age but that’s not the only time they’ll be loved and played with. This list is NOT just for toddlers. 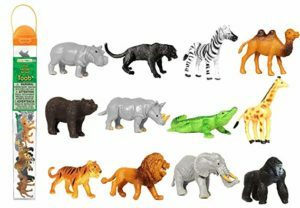 These are toys that will be loved for YEARS(and I know this – a lot of these were in my first grade classroom). So, for example, if you have a preschooler who doesn’t have a set of wooden blocks – think of getting them one! Don’t be turned away from them just because they are on the “toddler” list. The best toys for toddlers. This is my complete list of the absolute best toys for toddlers. These toys have longevity. These toys have unlimited play potential. These toys will let our kids play, and play well. 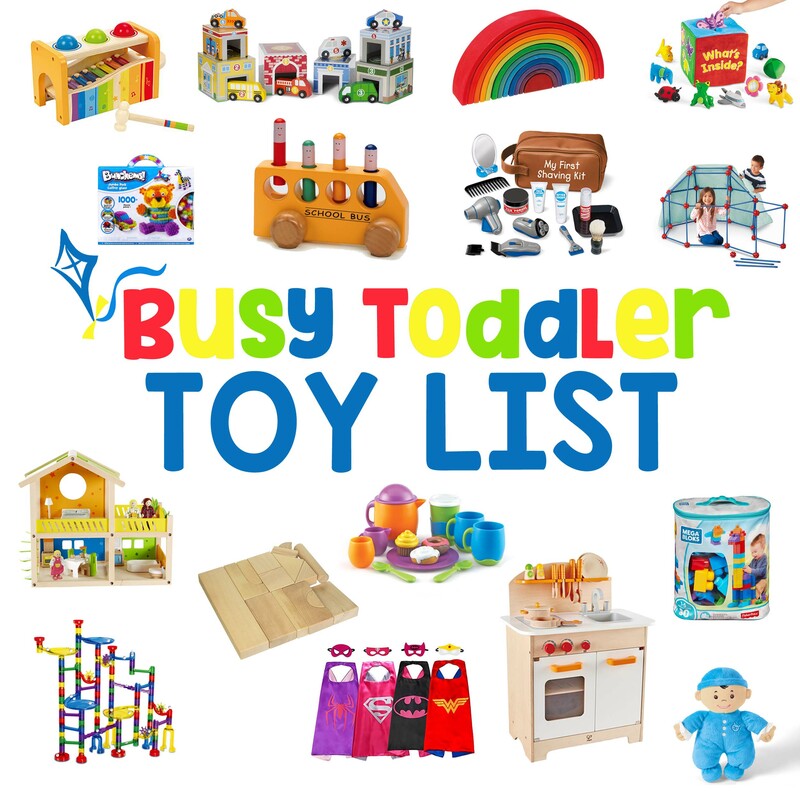 This list is GENDER NEUTRAL (as all toys are). Everything on this list is fantastic for both BOYS and GIRLS, and equally loved and used by all. Please don’t skip past a play kitchen or doll house or a box of LEGOs. These are gender neutral toys. These are the best toys for toddlers (and toys will keep loving, and using, and playing with far into the future). 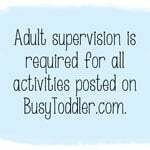 PLEASE NOTE: Busy Toddler is a participant in the Amazon Services LLC Associates Program, an affiliate advertising program. As an Amazon Associate, I earn from qualifying purchases. 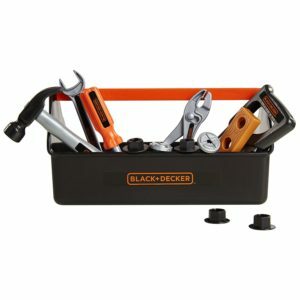 Many of the following links are to products on Amazon. Read more about these links in my disclosure policy. 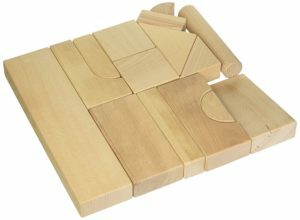 Absolutely one of the best basic open-ended toys you can own is a simple set of wooden blocks. Kids will play with these throughout elementary school. Having a set (or two) of small animals is a clutch open-ended toy. Kids can use with them in sensory bins, art projects, and basically any imaginary play world they can come up with. 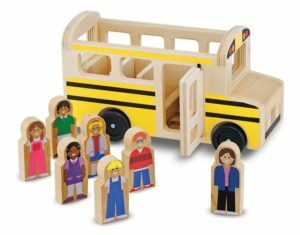 Having some simple wooden people can make for really inventive imaginative play. Lots of times these people come with wooden vehicles making for great play possibilities. An open-ended toy that most every house has or should have! 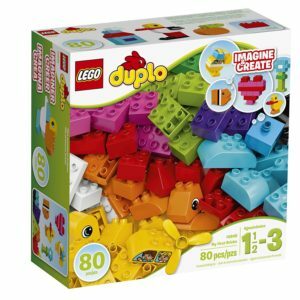 LEGOs are full of learning and fun, and Duplos start kids building in the right direction. Kids love to play make-believe and kits like this can help fuel the fun. This shaving kit is a favorite in our house – from toddlers to grade school kids, boys and girls – it has mass appeal. Doll houses might not seem “gender neutral” but trust me – they are. And this one REALLY is. A doll house is home for imaginary play – a place to rescue animals from, to act out dramatic social scenes, and to make imaginary set ups. I can’t tell you how many times our doll house is on “fire” and being tended to by fire trucks and fire fighters. 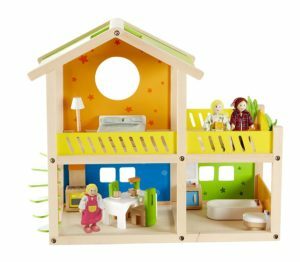 A doll house is gender neutral and a perfect backdrop for a whole lot of play. Doesn’t matter if you have a boy or a girl, a play kitchen is a MUST. And I MUST insist you check out this option, because it is battery free. It’s all kid run. A lot of kitchens on the market are plastic and full of buttons and noises. Not this one. 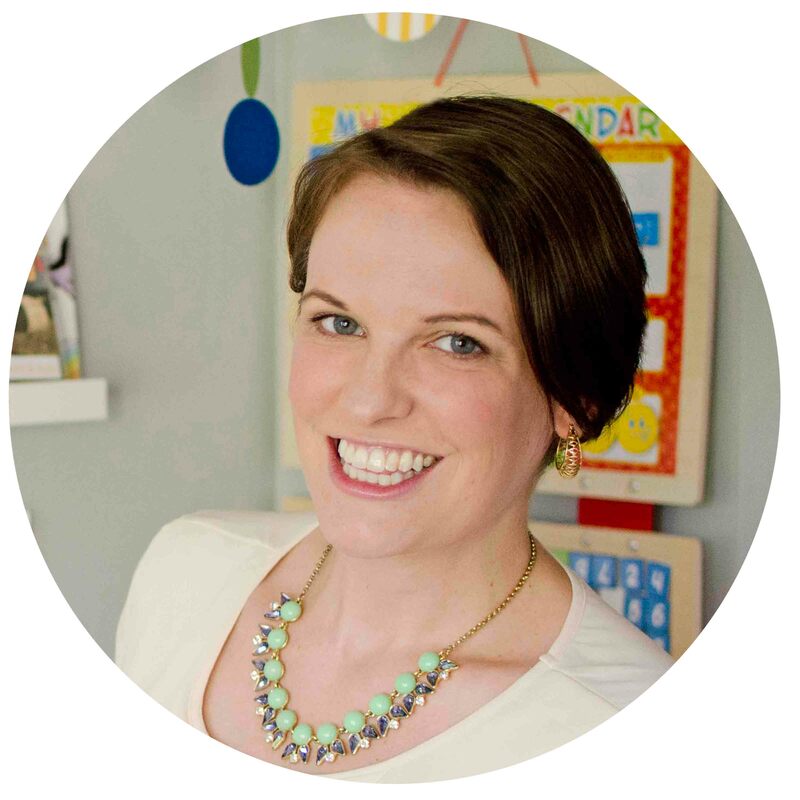 It’s the Mary Poppins of kid kitchens (practically perfect in every way). I always say this: you can never have too many puzzles. 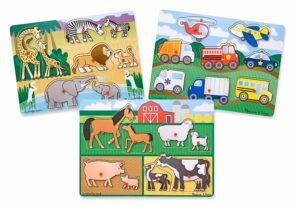 Puzzles are amazing for teaching spatial awareness, reasoning, and problem solving. Why wouldn’t we want a whole lot of that? Whether it’s indoor construction or real outdoor digging, a simple set of construction trucks – no batteries needed – make for some sweet play time. An oldie but a goodie that shouldn’t be forgotten. Even my first graders played with my set every single day. 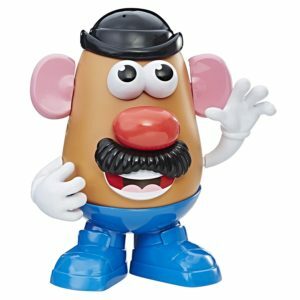 Potato heads a little big magical. 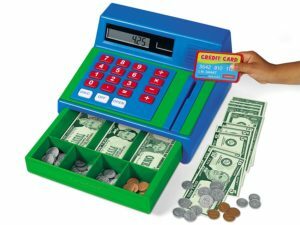 Another GREAT toy for dramatic play – a cash register turns a playroom into a restaurant or a grocery store. My toddlers aren’t quite ready for the play money yet so I have that saved for a few years from now when they are ready. You don’t need to flashcard toddlers to teach them the alphabet – they’ll learn it when they’re ready. But having a few toys they can play with is a great way to get them familiar in a play-based, hands-on, organic way. A good train set is a great open-ended investment: something to build with, imagine with, and interact with. 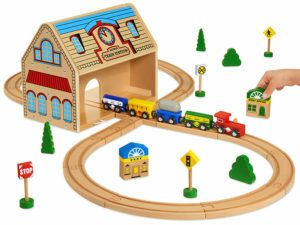 We have lots of hodge podge partial sets, but if I could start my train set over again – this little set (that all folds up and stores in the train station) is how I wish we could have started. We love this set! It’s a perfect place to begin your collection. 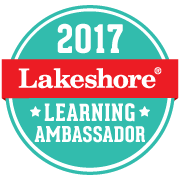 Another plug for dramatic play – this is how our kids make sense of the world around them and interact with it. Tools to fix with are a perfect way for kids to practice some helpful skills. 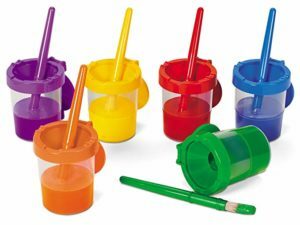 I know that technically these aren’t an open-ended toy but having a good paint cup makes art with toddlers so accessible. 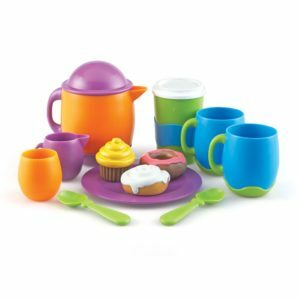 Pouring skills are learned in play opportunities, and having a fun tea set makes that happen. Kids love to set up imaginary scenes – and getting a chance to practice pouring is such a great bonus. This is very gender neutral toy that somehow gets forgotten. Having a set of play dinosaurs might seem random from the outside but once you see all the play kids can do with just a few dinosaurs – you’ll understand why dinos are a must-own. 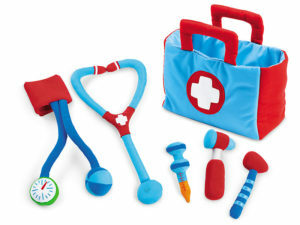 Another chance for dramatic play – every home needs a doctor’s kit. I’m a little embarrassed to admit that we’ve had FIVE different doctor kits in this house but only this one remains. It’s the simplest but the best. It’s the one of the kids always gravitated to. 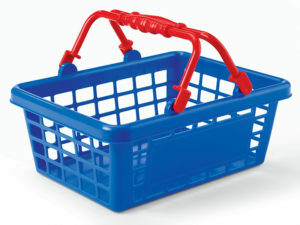 I put these together because all that play food fits perfectly inside the basket like they were made for each other. 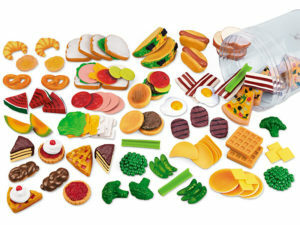 This food is my favorite to pair with a play kitchen. 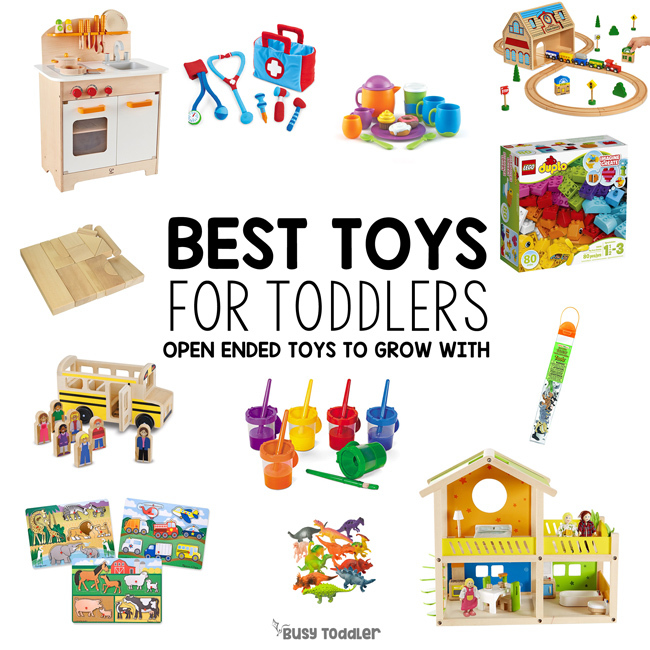 What are your favorite toys for toddlers? Remember, we don’t need to own every toy for our kids but the right toys make all the difference. Let’s get those kids back to playing (and ditch the toys that play for them…). I recently stumbled across your blog and I love it! I have a 2yo son and baby on the way very soon and have been trying to minimalize to make space. 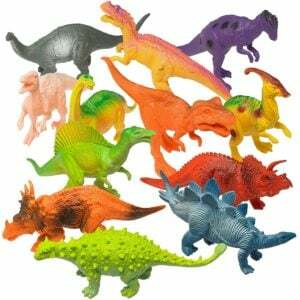 I have found myself getting rid of the obnoxious light up toys and keeping the blocks, puzzles, dinosaurs, etc. I love what you said about toys being gender neutral. I worked as a therapist for years and the dollhouse was a favorite of both genders. 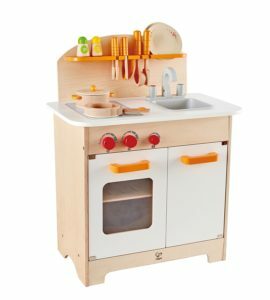 I would love to get my son a play kitchen but simply don’t have the space. I plan to get him a tea set for Christmas and know he will love it. I just wish toy companies made toys in more gender neutral colors. It is so hard finding tea sets that aren’t pink and flowery.